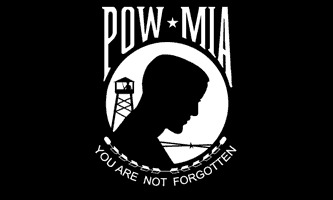 These 5x8Ft POW MIA flags are made of high quality nylon fabric, the most popular flag material. They feature real brass grommets, four rows of stitching on the fly end, and a strong nylon header. They are commercial grade for long life and made right here in the USA. To select your version, simply use our pulldown menu and the pricing will adjust according to the version single/reverse (reads correct on one side and reverse on the other) or Double-sided (image reads correct on both sides)of the flag selected.